I’m really excited about this post today! Not only because it’s super fun and comes with a bunch of free printables (!!) but because preparing for it made me get some of my much-needed scrapbooking done! I have the best goals and I even start books from time to time but in general, I get about 1 done a year when I’d like to do 5! Now, when I say scrapbooking–that doesn’t mean lots of time, or fancy papers, stickers, or even glue! It means, uploading all my favorite pictures to Mixbook, placing them on some cute pages and hitting order. Though I highly value DIYing any and all things, scrapbooking in the traditional sense has simply just never appealed to me. It takes so much time! And money! And organization! And messes! Even if I wanted to, I just know it’s something I would never actually complete. I highly value making and keeping memories, but all the time and money just does not appeal to me. So photo books are basically the best thing to ever happen to me! I love Mixbook’s photo book interface. It’s so easy to use, change, and edit. They also have thousands of styles, backgrounds, stickers, patterns, etc so you can make the best photo book ever-for any occasion! 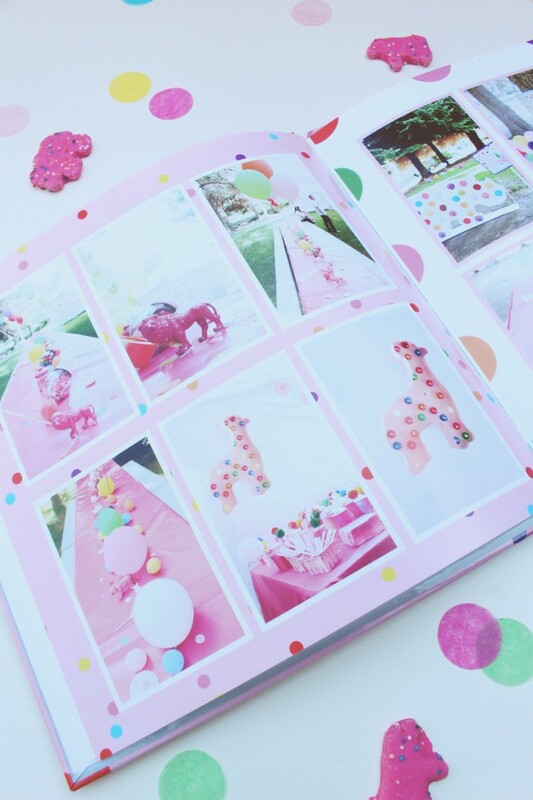 One of the yearly scrapbooks I always plan to order is of my children’s birthdays, specifically the party! So much work and effort goes into creating parties for our littles, I think they deserve to be memorialized! I certainly don’t ever want to forget all the little details. 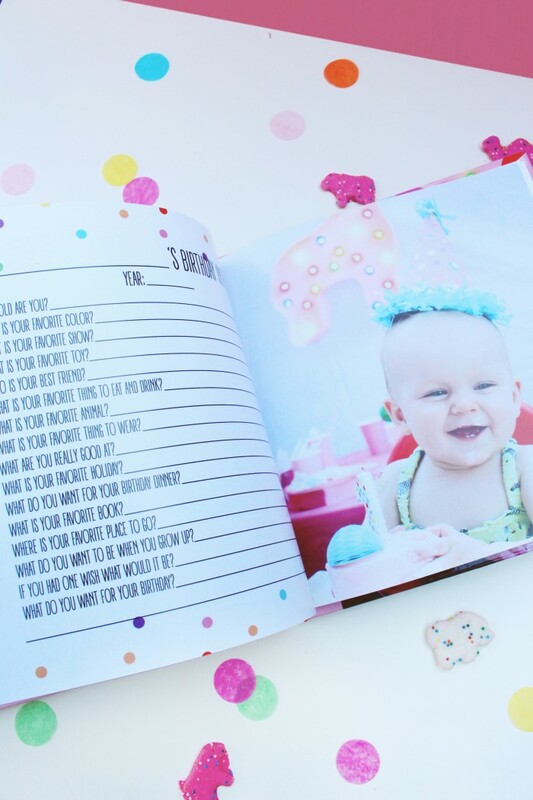 So, I decided to team up with Mixbook to bring you a fun idea for using their photo books-party memory books! 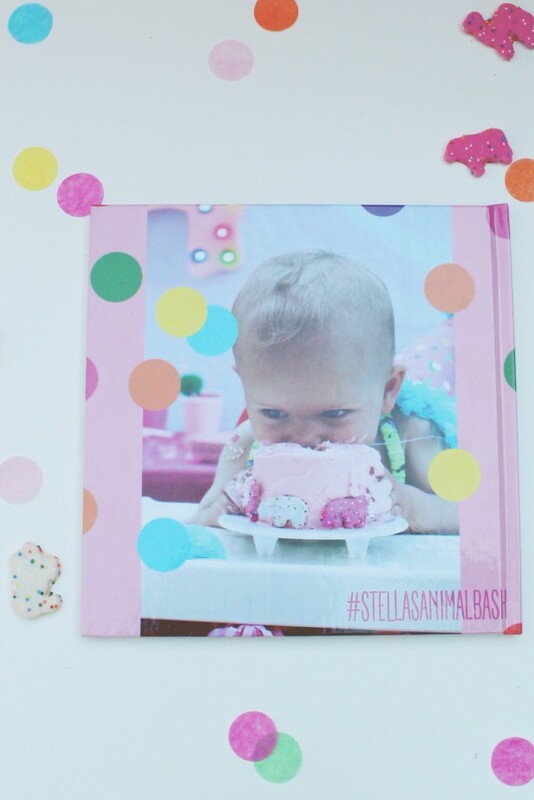 A whole photo scrapbook dedicated to the fun and themed parties we throw! What was so fun about this project was that, although I’ve wanted to do it ever since my daughter’s first party (the circus animal cookie theme bash you can see here), I only just now got around to doing it. So there actually were tons of little details I’d already forgotten! So many sweet memories we captured of my daughter that we didn’t document or share here because this isn’t a family journal. And because of that, I’d forgotten some of the cute and sweet quirks my little one year old (who is now three!) did at that time. It was so sweet to go back through every single picture and remember those moments. Plus, I always have so much fun revisiting the photos of my parties! I put so much love and thought into every single one that it hurts to leave it in the past. This is the primary reason I love blogging! But, again there are so many photos and details that don’t make it onto the blog and putting them in a book for my personal pleasure is well…extremely pleasurable! 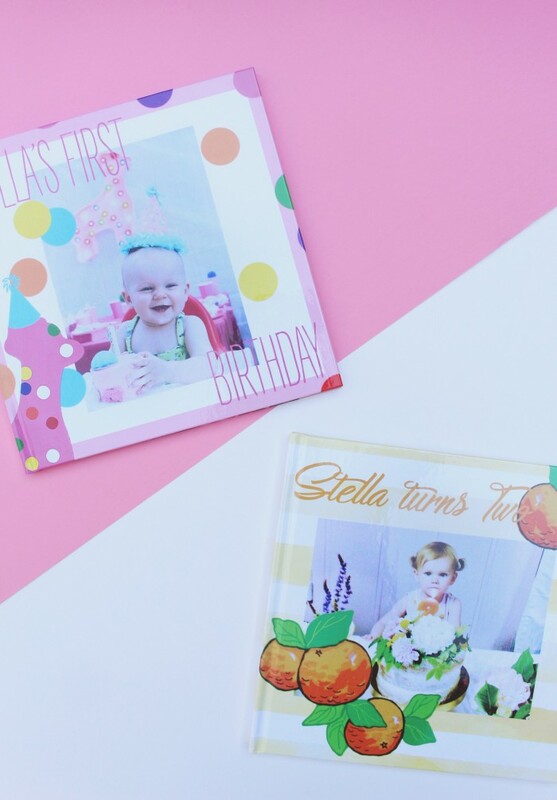 Now I have both my Stella’s first and second birthday parties (the citrus floral party you can see here) professionally and beautifully documented in a scrapbook that I actually enjoyed making! Since ordering these, we’ve already celebrated my girl’s third birthday and I’m currently working on that book too! I’m excited to share it, and the party, once I finish up the photo editing. I wanted to make these books more than just a photo scrapbook of the party and the birthday girl, though. What I also love about making these books is that you can easy type up memories as they come to you (valuable to those of us with not-so-pretty handwriting! ), and add all kinds of other fun elements. 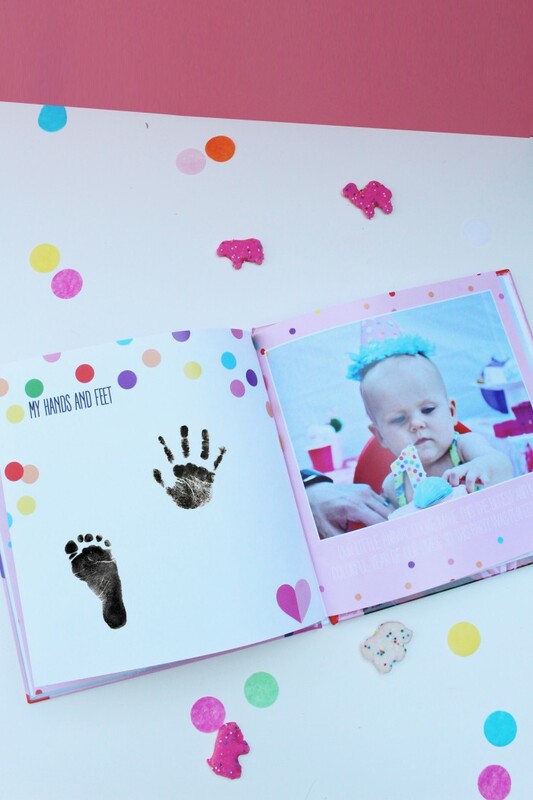 For these birthday books I decided to also include a birthday interview with lots of fun questions you can fill out about your little ones and a page for their hand and foot prints! The interview page is possibly my favorite part of the whole thing! For the first couple of years of course you as the parent will be filling out the answers from what you know about your little one! But I’m so excited for my kids to answer them all themselves each year as they get older. This year Stella could answer the questions and it was so fun to do! Of course many of her answers were just straight up silliness haha! This page can be filled out with a permanent marker after printing or on the computer beforehand! I did it both ways (the computer one I did for her newest third birthday book). I have a few options of these interview pages available for you to download here and use on your own photo books! They are the perfect size for a Mixbook (just upload and set into a 1 full page picture layout). There is a sprinkle one (as seen in the animal cookie book), a citrus one (as seen in the second birthday party book), a unicorn themed one (which matches my daughter’s third party), and a blank one that you can dress up yourself or upload and use Mixbook’s great array of stickers and embellishments on. The same goes for the hand and footprint pages! I have four styles for you to choose from (sorry they’re all kind of girly! But, you know–I’ve only had girl birthday parties so far!) Regular ink can be used on these to make the prints but you may have better luck with a small amount of acrylic paints. Just be sure to clip the book open during and after until the prints are completely dry. 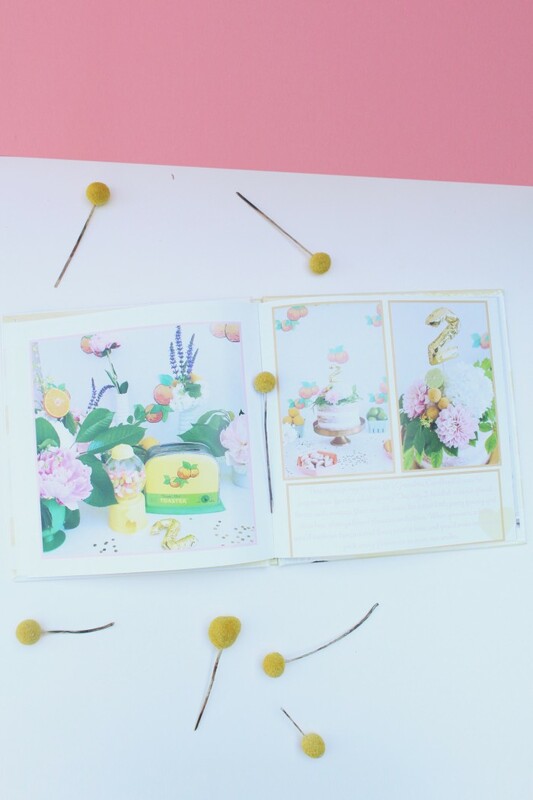 There are also a few free background pages in that folder for you (at the end of this post) that you can use in your birthday party memory books! Sprinkle confetti backgrounds and some of the vintage oranges as well. 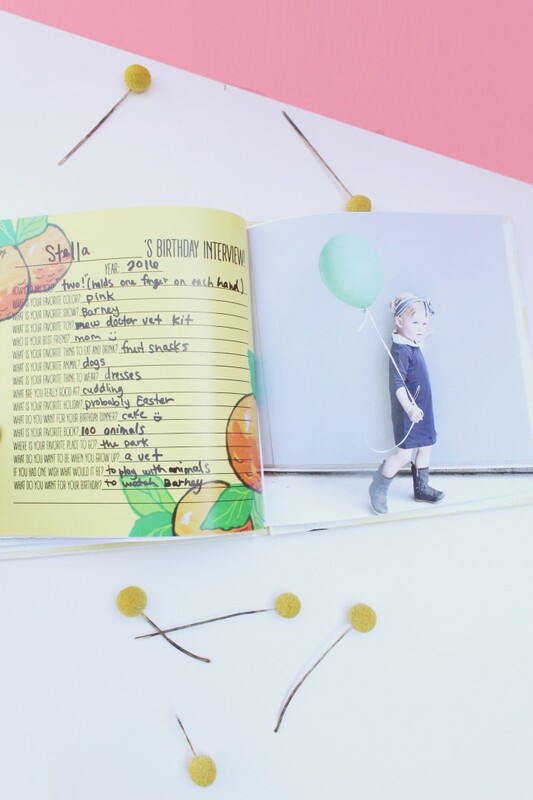 I hope you feel encouraged to head on over to Mixbook and create some birthday party memory books. I loved this project so much and I am so excited to see what each new book turns out like as the years pass. 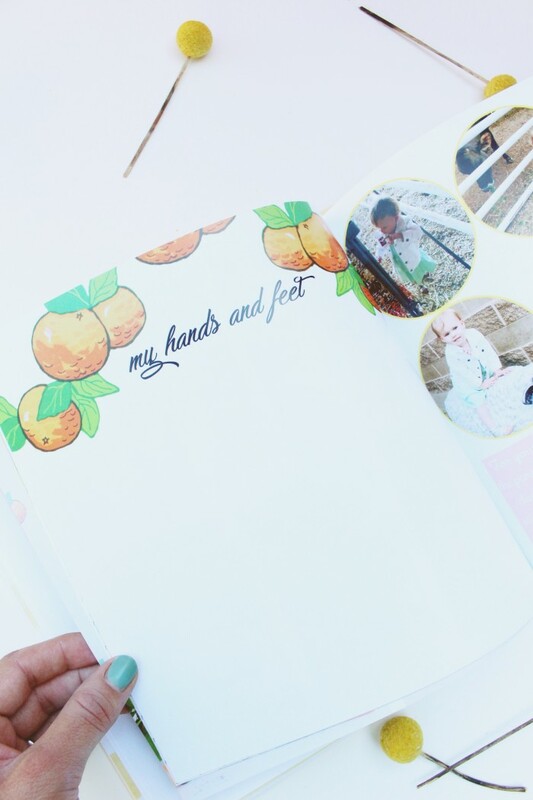 What better way to remember the details about your littles, especially with the fun add-on pages available below?! Just follow the download button to grab the free printable pages!